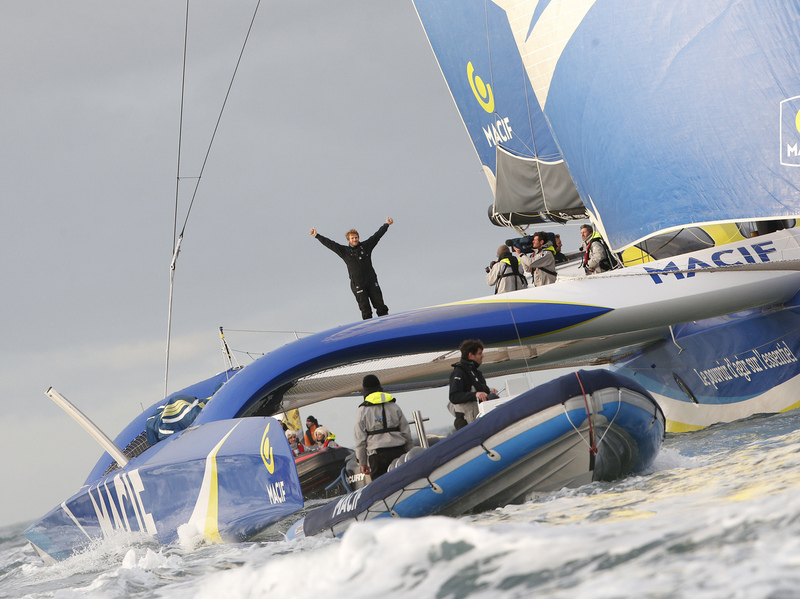 Around The World In 42 Days: Frenchman Sets New Sailing Record : The Two-Way François Gabart, 34, sailed his 100-foot trimaran past the virtual finish line in the English Channel on Sunday, smashing the previous record by more than six days. 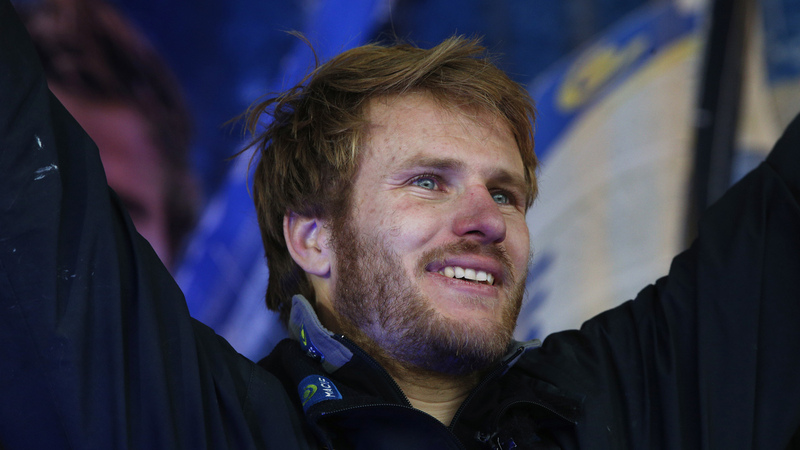 Gabart reacts after his world record, in the Brest harbor, western France, on Sunday. Britain's Dame Ellen MacArthur won the title for fastest non-stop circumnavigation in 2005, but lost it to Francis Joyon of France. She regained it three years later.